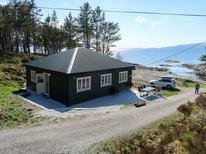 A holiday house at Sognefjord costs on average USD 306 in the cheap travel period and USD 930 in the peak season per week. These details are of course in relation to the house and not per person as well as includes the obligatory additional charges. Do you fancy living in an idyllic farm village setting amidst emerald green fjords? Wouldn't it be exciting if you could just sit in your balcony soaking up views of blue glaciers and hear mighty waterfalls cascading at a distance? 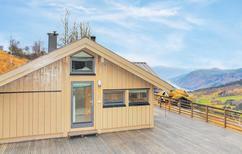 If so, a perfect vacation is waiting for you in your dream holiday home on the Sognefjord. The Sognefjord is the longest and deepest of its kind in Norway, and its other arm, the Nærøyfjord, is a famous UNESCO World Heritage site. If you enjoy hiking, delve deeper into the innermost part of the region. 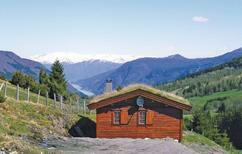 There, you will the find the Breheimen National Park, the Jotunheimen National Park and the picturesque valleys of Aurlandsdalen and Utladalen valley, all dotted with beautiful, high-quality holiday rentals. 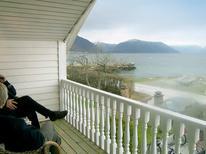 The inner reaches of Sognefjord delight travellers with warm summers and mild winters. Some of the activities you can indulge in living here include rock climbing, rafting, mountain biking and summer skiing. The wealth of placid lakes, rivers and streams makes Sognefjord an ideal destination for fishing holidays. Relax in your lakeside holiday home in Sognefjord, venture out boating on the lake, catch mountain trout, salmon, haddock and more and come back to feast on your fresh catches. In this regard, if you like the feel of a small town, the pretty setting of Balestrand with its mountain backdrop and charming old villas is sure to enchant you. The lovely town of Årdalsfjord also makes an ideal place to relax, offering a pleasing break from sightseeing or hiking. If you love waterfalls, rent a holiday home in the town of Øvre Årdal, the gateway to Norway’s most spectacular waterfalls, including the highest – Vettisfossen. With TUIvillas.com you can easily sort out a trustworthy vacation home that caters to your specific needs. Book online to experience a carefree holiday experience in the holiday apartment of your choice.